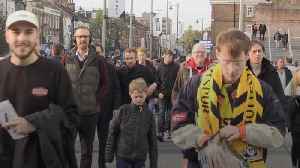 Supporters make their way to the new Tottenham Hotspur Stadium ahead of Spurs' Champions League quarter-final first leg clash with Manchester City. 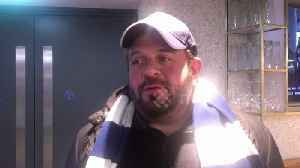 'Man v Food' star Adam Richman gives a description his experience at the opening of Tottenham FC's new £850 million stadium while supporting Tottenham in their 2-0 win over Crystal Palace on April 3. 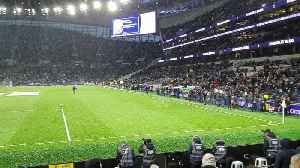 A snowstorm welcomed fans to Tottenham Hotspur&apos;s new £1 billion stadium before their first Premier League game tonight (April 3) against Crystal Palace. 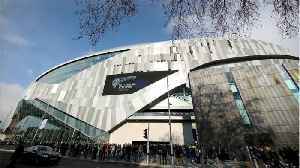 Tottenham Hotspur finally opened its shiny new £1.3 stadium amid glorious fanfare Wednesday, by hosting Crystal Palace in the Premier League. 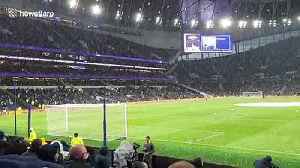 For the 59,215 packed inside on opening night, the..
A snowstorm welcomed fans to Tottenham Hotspur's new £1 billion stadium before their first Premier League game tonight (April 3) against Crystal Palace. The filmer told Newsflare that it started.. 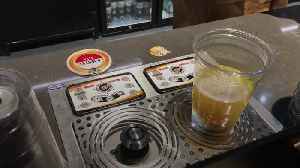 Magnetic technology has been installed at bars in the new Tottenham Hotspur stadium. Spurs host Crystal Palace on Wednesday in the first Premier League game to take place at the ground. 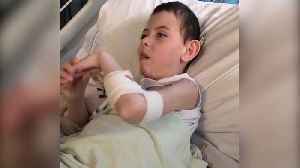 Stuart Pankhurst, the father of eight-year-old Spurs fan Harry Pankhurst, has thanked the thousands of football fans and famous names for their messages of support after his son’s hospital bed.. 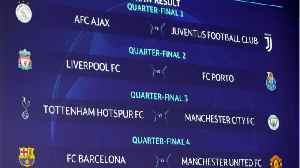 The Champions League draw for the quarterfinals took place on Friday from Nyon, Switzerland, and, after a pleasingly brisk presentation, we now know what the next round of European soccer will look..